This course covers the fundamentals of Electrical and Electronic Engineering. 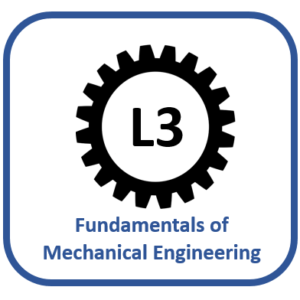 Most of the topics in this course would be covered on any level 3 Engineering programme, particularly if your studies are electrically biased. 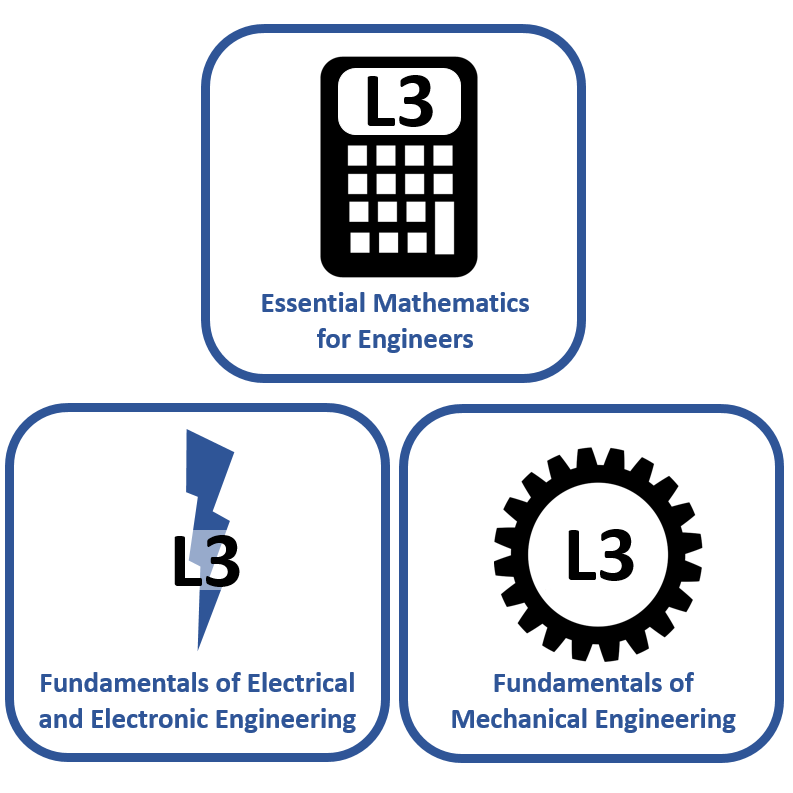 If you are currently studying Electrical / Electronic Engineering at level 3, or wish to revise prior to commencing an Electrical / Electronic Engineering course at level 4 or above, then this course will provide a suitable foundation of knowledge and understanding. 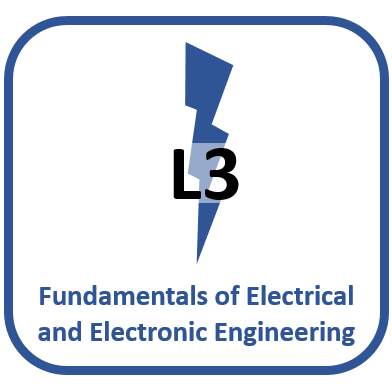 Who is the ‘Fundamentals of Electrical and Electronic Engineering’ Course Designed For? This course is suitable for anyone studying, or considering study in electrical and electronic engineering at Level 3 or above. If you are already studying electrical and electronic engineering, then it is likely that you would benefit from compounding your understanding of the topics contained in this course. If you are considering studying electrical and electronic engineering at any level, then it is essential that you gain a sound knowledge of the application of key themes and principles, by mastering the skills contained in this course. When studying a level 4 electrical and electronic engineering qualification with any institution, it will be assumed that you can apply all of the principles covered in this course. If you study a higher level programme with the Engineers Academy®, then you will be given complementary access to this course, alongside your main programme, for revision purposes. What is included in the ‘Fundamentals of Electrical and Electronic Engineering’ Course? I am starting my HNC in electrical engineering in September & have used this course to help me get upto speed as I have been out of education for some time. I found it really useful & the format is good and you can work at your own pace. I would also have considered doing the full HNC with them but unfortunately it didn’t start untill next year. Thank you for your kind words Andrew. I am confident that you are very well prepared for the course and wish you every success for the future. All the best! HI Andy, just dropping quick feed back. 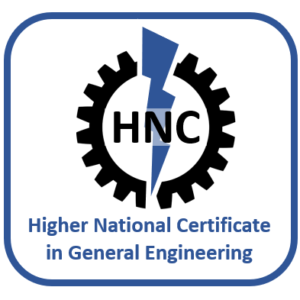 This course was the last bridging course for HNC in General Engineering. Now I am feeling excited. Year ago I was doing NVQ 3 in electrical engineering, but this course told me 10000% more then i learned from NVQ3. Also worth to mention I done all 3 courses in 2.5 months which is not easy but achievable. Thanks Andy for this opportunity and I wish you all the best for your future. Thank you for your kind words and well done for finishing the course with such an outstanding overall score! I look forward to working with you on your chosen HNC programme. 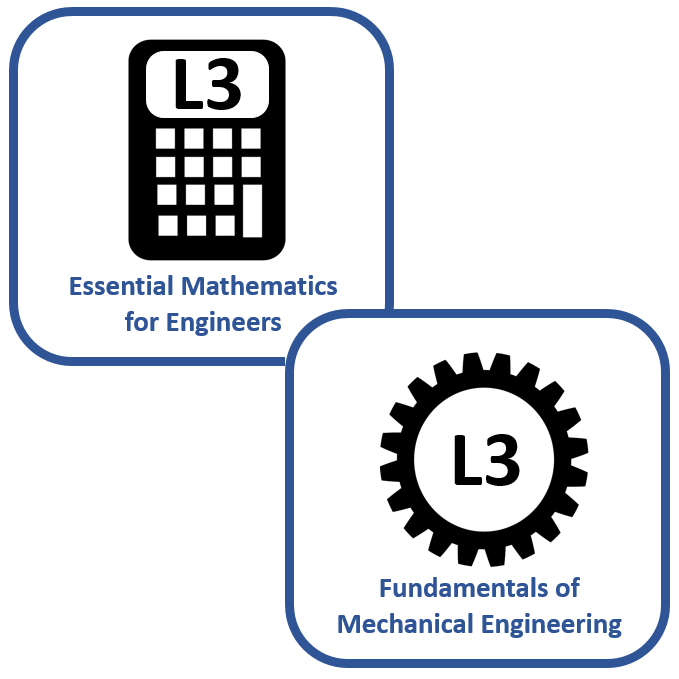 I started this course in conjunction with the Mathematics for Engineers course in preparation for starting a HNC in Electrical Engineering Next year. This course has been a brilliant refresher on the electrical fundamental’s that I learnt during my apprenticeship. Working in a first line engineering environment for the last 16 years means my theory knowledge had become a little rusty. (Don’t use it you lose it). I’ve really enjoyed this course and it has definitely restored my fundamental knowledge. I’m now 100% ready for my HNC- HND then maybe even my degree. Let the hard work continue. Hi Kris, thank you for your positive feedback. It is always reassuring to know that the structure and content of the courses is benefiting our students and enabling them to progress at their own rate. I am happy to answer questions and assist students, although it won’t always be by 6.30 am (consider yourself privileged!). Keep up the good work and best of luck for the future. While waiting for my exam results from another college I decided to give this course a go and I must say this course I actually enjoyed . The videos were easy to follow and the quizzes were challenging . I did get stuck a few time but with great support from Andy I managed to overcome them. As a result I decided to do the E&E HNC with this academy instead of the other college where I was going to study mechanical engineering.Can’t wait to get started! Thank you for your feedback Istvan. You did a great job on the Electrical bridging course and we are now happy to accept you on to the HNC programme. The next cohort starts in 6 weeks, so hopefully that fits in with your plans. We look forward to working with you again soon!